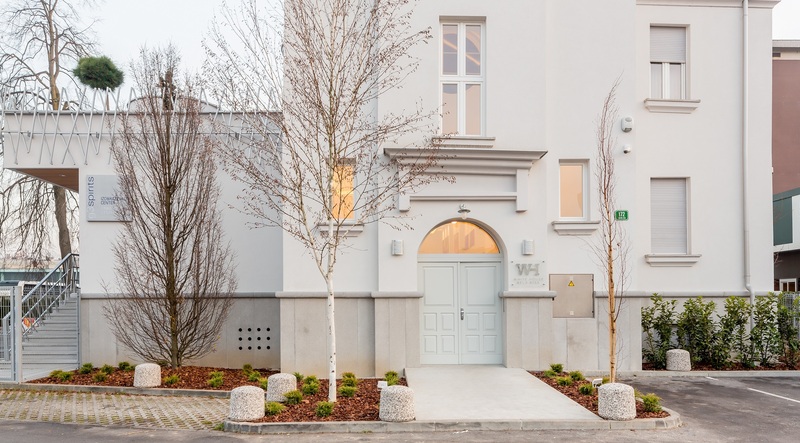 Along the apartments you can also choose among four individual rooms, suitable for overnight stays of one or two persons (with the possibility of installation of additional cot for families). Two rooms are located in the raised ground floor and another two on the first floor. 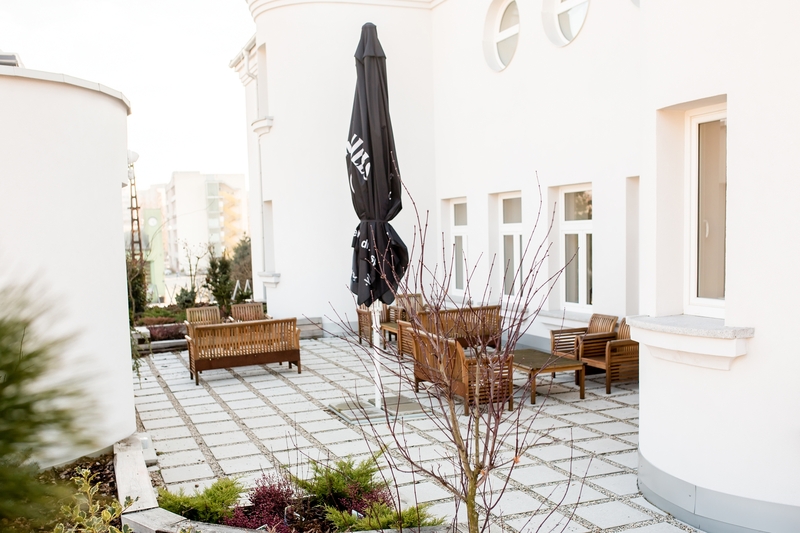 The rooms have no individual terrace, though the guests can use shared terrace (for smoking and socializing) on the 1st floor any time of the day. All beds are high quality, double-sprung and meet the standard of hotel 4*. 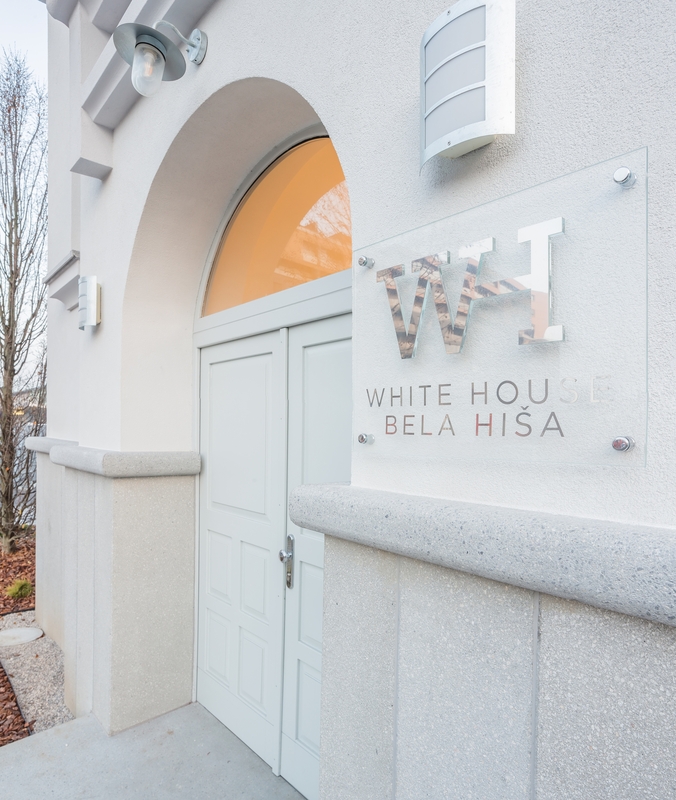 White House - Bela hiša is built according to high international ecological standards (LED-lamps, sanitary water from rainwater, well insulated building), newly opened after an extensive and quality renovation. Bedroom: king bed (180 x 210 cm) or two separate beds (90 x 210 cm), widescreen TV, 2 nightstands with table lamps, dresser, writing desk and armchair. Bathroom: shower, washing machine, cupboard above the sink, hairdryer, standard electrical socket for hygiene appliances, toilet. Dressing room: wardrobe at the entrance, intercom, safe-box and slippers. - located in a quiet area near the ring (highway) and good access to the city centre. Attention: smoking is permitted only on the individual and the common open-air terrace on the 1st floor. The apartments are equipped with smoke sensors which will automatically activate in case of smoking. Cleaning charge for the violation of smoke ban in the apartments and rooms is 30 euro per night. Rooms are suitable for overnight stays of one or two persons. The common terrace (for smoking and socializing) is available on the 1st floor. Rooms have a comfortable king bed or two separate beds, wardrobe with a safe-box, writing desk, TV, bathroom.